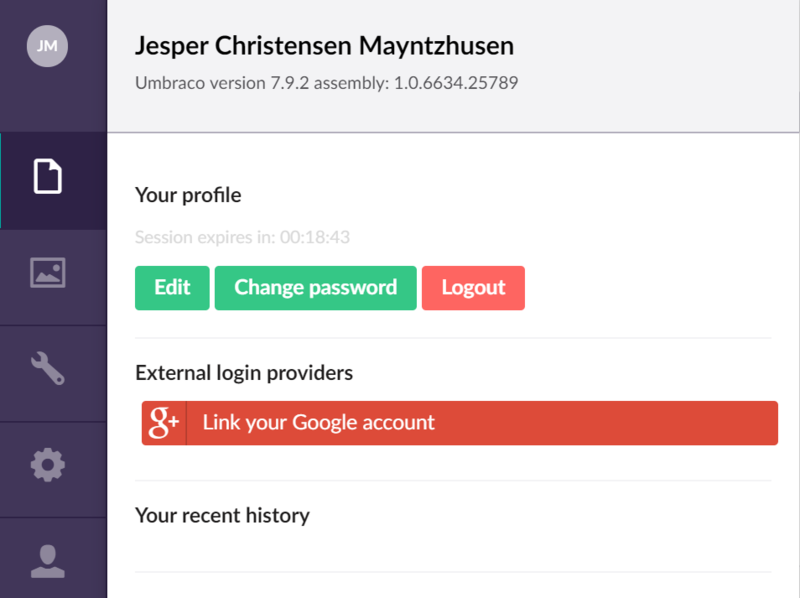 This guide takes you through the steps to setup a Google login for the Umbraco backoffice. What is a Google login? Why not? I'm sure a lot of content editors and implementors of your Umbraco sites would love to have one less password to remember. It is also quick and easy, just click a button and if you are already logged into Google it will just log you in! Developers who won't mind configuring a Google API, running the solution in Visual Studio, adding NuGet packages and editing the config files - does that sound way too advanced for you? 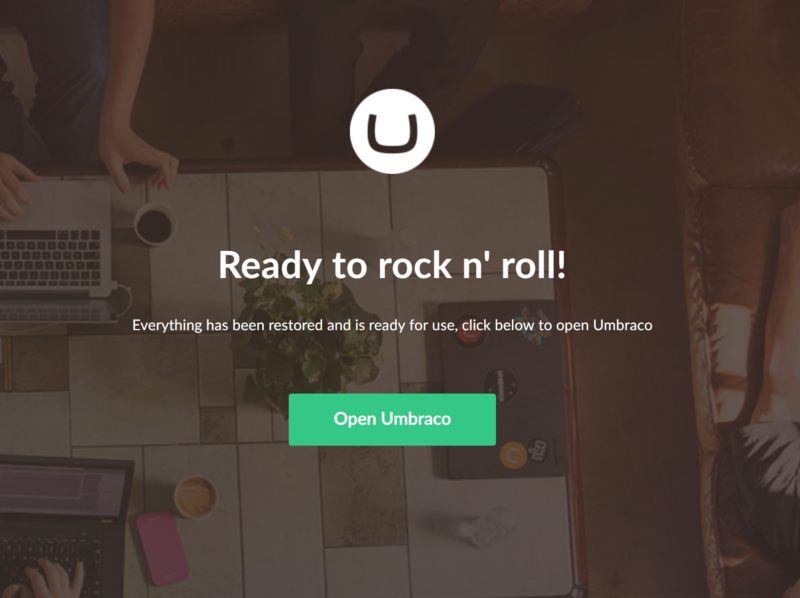 Don't worry, I did this after working a bit with Umbraco for about a month, and I will make the steps in the guide very clear so even beginners will have a chance! 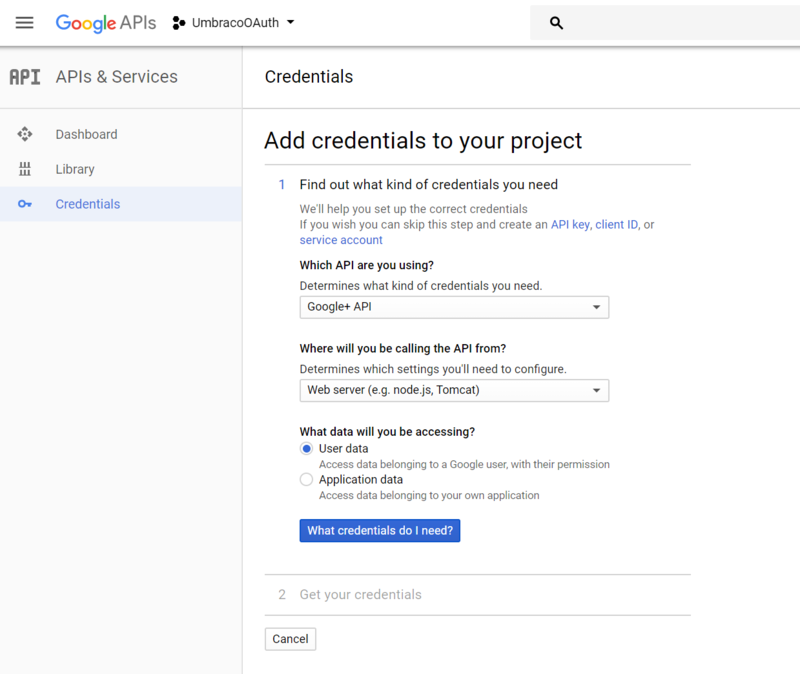 The first thing to do is set up a Google API. 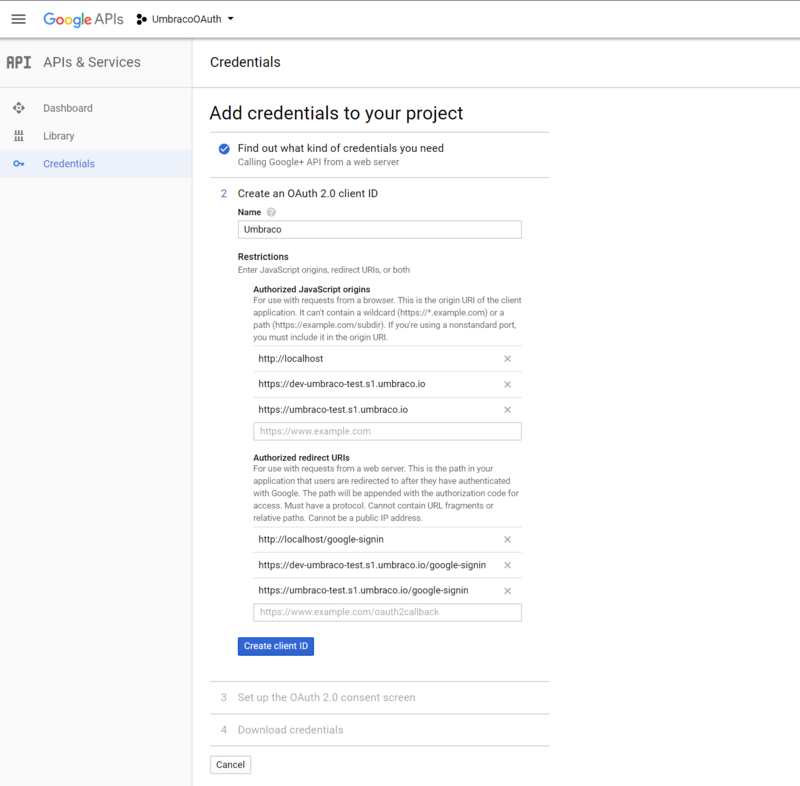 To do this you need to go to https://console.developers.google.com/, then log in with your Google account. Add in your credentials and the domains that it should cover. As you can see I am using an Umbraco Cloud page and have chosen the path domain/google-signin as the redirect URL. Now just fill in your email and leave the page open - you will need the Client ID and Client Secret in a little while! 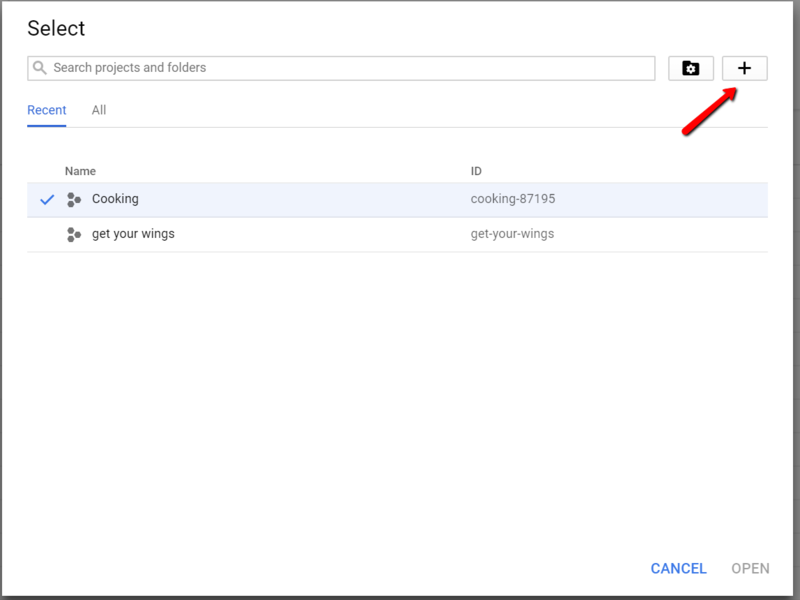 Now that you have the Google API all set up you have to go to your existing solution in Visual Studio. If you don't know how to clone down a Cloud site to use in Visual Studio then there is an excellent guide here! This starts the download of a package that makes it very easy to set up OAuth logins through various platforms - it might take a few minutes to install it and all the dependencies. Once the package is done installing a nice readme file will pop up and give you some useful information - feel free to completely ignore it and continue following this excellent tutorial! This will update the package and dependencies, and clear out the issues. Just like before, wait for the package to install then build and run the website. Now you have installed both packages, and your site still works (hopefully)! Now we have to configure the files to allow Google Authentication as login. And of course fill in the relevant information as the value fields - you can copy paste this from your Google API. If you do that, then in all future backoffice logins you will have a button just like at the top of this guide that you can simply click and you are logged in!